In order to access a Bitcoin address, you need a private key, while the latter is usually stored in the so called ”Bitcoin wallet”. Technically, you do not store Bitcoins, but the secure digital keys, which you need in order to access your public Bitcoin address and to make transactions. 1. Desktop wallets. The original Bitcoin software, the Bitcoin-QT client, is a good example of a desktop wallet. This platform allows users not only to relay transactions within the Bitcoin network, but also to establish a Bitcoin address of their own and to store the digital key for that address. Desktop wallets come with specific features of their own. 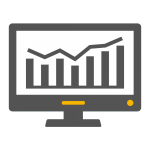 Some wallets such as Multibit are designed to work with a range of operating systems (Linux, Windows, Mac OSX). Other wallets such as Armory are meant to provide enhanced security. And finally, there are desktop wallets such as DarkWallet, which stress on anonymity. 2. Mobile wallets. If you tend to be often on the move and be willing to pay with Bitcoins for goods or services, desktop wallets will not be of much use to you. What you need in this case is a mobile wallet, which runs as an application on your mobile device and allows you to store the digital keys for your Bitcoin addresses. Mobile wallets also make it possible for you to pay for goods or services directly with your smart phone. 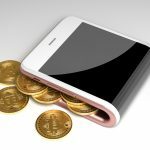 Some mobile wallets may even use your smart phone’s near-field communication feature in order to make it possible for you to pay with digital currency with a simple tap of your phone against a reader. This way you will be relieved from the need to enter any data. Mobile wallets do not represent full Bitcoin clients. A full Bitcoin software usually downloads the entire Bitcoin blockchain, which is constantly expanding and requires multiple Gigabytes of space. And, let us not forget that the majority of smart phones hardly have a sufficient memory capacity to hold the entire Bitcoin blockchain. For that reason mobile wallets usually download a small subset of the blockchain and use simplified payment verification. Typical examples of mobile wallets include Xapo, Mycelium and Blockchain. 3. On-line wallets. This type of wallets allows you to keep your private keys in on-line environment, actually on a personal computer with a connection to the web and under the control of another party. Some of the web services available may provide you a link to desktop or mobile wallets, while actually copying and sending your Bitcoin addresses to whatever device you have. On-line wallets are easily accessible from any type of device, anywhere. However, we should note that they have one disadvantage – if you do not use them properly, the business entity that runs the respective website may take control of your private keys, which is quite a frightful prospect, especially if you have managed to amass an enviable amount of coins. 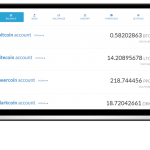 Examples of web-based wallets include Coinbase, Circle, Strongcoin and Blockchain. 4. Hardware wallets. They are, in fact, dedicated devices, which store private keys electronically and also facilitate transactions. 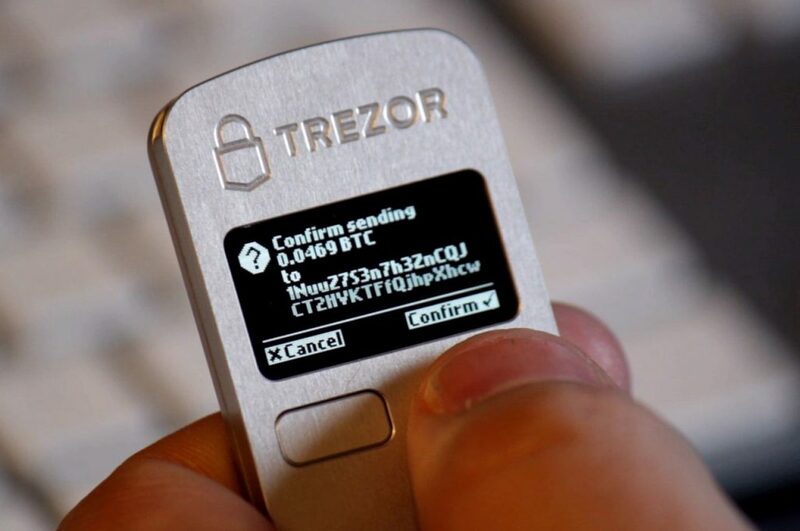 Typical examples are the Trezor hardware wallet, the Ledger USB wallet as well as the KeepKey hardware wallet. – a private key, with which you will be able to spend Bitcoins currently kept at the public address. With paper wallets your private keys will not be stored in digital form anywhere, which actually makes them immune to cyber-attacks or hardware issues. 1. Encryption. A decent way to safeguard your digital wallet is to create a really strong password associated with it. This way access to your wallet becomes difficult for intruders, but you should keep in mind that the wallet is not invulnerable. In case malware somehow finds its way into your personal computer, hackers might be able to log your keystrokes and eventually discover your password. 2. Using a back-up. In case you store your private keys in a single wallet and it becomes compromised, those keys will be lost. Thus, having a back-up is essential. Note that you should back up your entire wallet in several different places. It is advisable because you may have Bitcoin addresses where change from transactions is kept and these addresses may not be visible by default. 3. Using multiple signatures. Bitcoin addresses, which could be partially seeded with a public key by more than one party, are known as ”multi-signature addresses”. In case you are willing to spend a certain amount of the digital currency stored, you will need the signature of some of the other parties in addition to your own. Usually, the number of signatures needed has to be agreed on at the very beginning, when the Bitcoin address is established. 4. Using cold storage. In case you feel uncomfortable to store your private keys on the web due to theft concerns, then using a ”cold storage” wallet may be a more appropriate choice for you. What this means is that you are able to store your private keys off-line. Some users may prefer to keep a larger part of their Bitcoins in a cold storage wallet and have a small amount of coins stored in a ”hot wallet” with a connection to the web. This will place only a small amount of your digital currency at risk in case of a smart phone loss or in case the hot wallet on your laptop vanishes due to a hard drive collapse. Note that, at present, there are software wallets, which allow for a cold storage option. 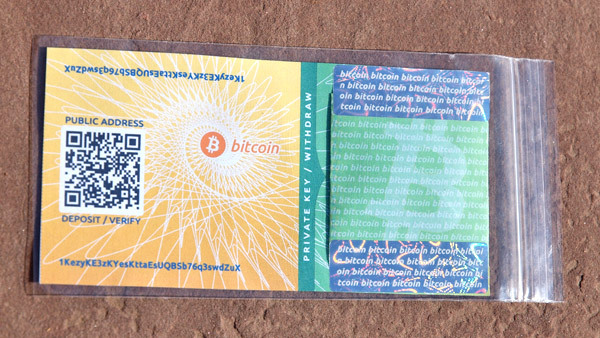 And, let us not forget that paper wallets also make a good option for off-line storage.